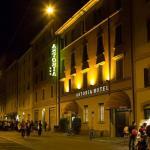 Tourist, university and business city, Bologna welcomes a million tourists every year. The selection of hotels in Bologna is really varied: 1 to 4 star hotels, Residences, Bed & Breakfasts and rental apartments alike. 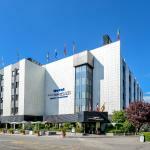 Business travelers usually stay at the hotels near Bologna exhibition centre or near Guglielmo Marconi airport, which typically feature meeting rooms, Spas to relax after a long working day and Wi-Fi Internet access available in common areas. Tourists visiting Bologna preferaccommodation in the historical centre of the city, hotels near Piazza Maggiore and 2 and 3 star hotels close to the main places of cultural and architectural interest. 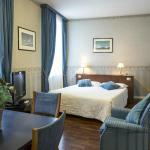 Bologna's hotel offer also includes numerous rental apartments and B&Bs offering private bathroom, kitchenette and laundry facilities. 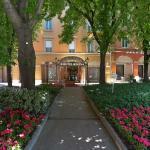 Those looking for a budget hotelcan choose among the hotels near Bologna Central Station, generally low cost solutions, but all providing access to the Internet and 24 hours reception. Along Corso Indipendenza, instead, are some of the best 4 star hotels in Bologna, which boast quality furnishings in both public areas and rooms, Wi-Fi access included in the price, restaurant, shuttle service to / from Bologna airport. Please note that the historical centre of Bologna is a restricted traffic zone, so when you book a hotel in the city centre you can ask for a voucher to park your car in the downtown streets. Ideally situated in the heart of Bologna, only a few steps from Via Indipendenza and near the railway station, represents a harmonious blend of tradition, elegance and refinement with all modern facilities. 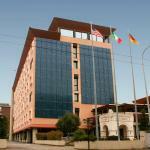 The Best Western Hotel Maggiore awaits you at the foot of the hill of San Luca, about 3 km away from Bologna Guglielmo Marconi. 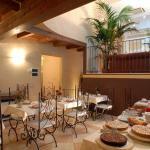 It offers easy access to downtown and Bologna Fiere Exhibition Centre. In the historical centre, near the University, the Central Station and Piazza Maggiore, the Queen ZanHotel Regina, 3-star hotel, is the ideal base for your stay in Bologna. In a very convenient location near the airport of Bologna and the Ducati factory, the Hotel Del Borgo is easily accessible thanks to the bypass and the A14 motorway.